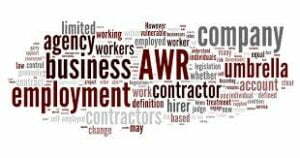 The Agency Workers Regulations 2010 (AWR) follow the Agency Workers Directive which came into force in December 2008. These Regulations generally give Agency Workers the right to equal treatment in relation to pay and conditions as if the worker had been recruited directly by the hirer. Initial Campaign. During the 2010 consultations, through our unique approach and using our internal legal expertise, we succeeded in persuading the government to introduce regulations that are not disproportionate, and reflect the EU Directive without gold plating. From the outset we argued against excessive measures and for a fair balance reflecting the realities of the recruitment industry. This campaign was a significant Success and helped retain agency worker supply as we currently know it. The ARC also worked with the Department of Business Innovation and Skills (BIS) to help produce the current BIS guidance on the AWR. Our input, which included holding a public meeting (200 attendees) in conjunction with BIS civil servants helped to rule out some inappropriate elements resulting in clearer and less ambiguous guidance. Current Campaign. Our campaign has continued as a result of various anomalies in the enacted regulations. We continue to argue that if a person has Agency Worker rights, that person cannot also be an employee of the hirer. In this respect see our campaign on employment status. We believe the logic is irrefutable, and reduction in employment risk for hirers can only benefit agency work. Your voice matters. Get it heard – join us today as a Core Member.